A sympathetic guide to psychic phenomena from a Christian viewpoint. It's author, an Episcopal priest, seeks to show how paranormal events can be interpreted as instruments of divine purpose and revelation. His narrative is packed with intriguing personal experiences and anecdotes ranging over the whole spectrum of parapsychology - everything from ESP, astral projection and possession to reincarnation, communication with the dead, poltergeists, and spiritual healing. 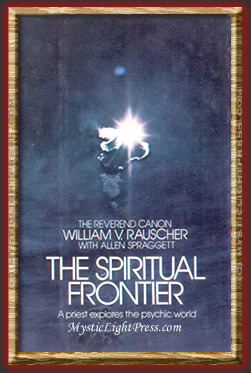 Referring to biblical precedents and always relating his arguments to Christian teachings, Canon Rauscher builds a fascinating, inspiring and amazing case for his deeply held conviction that psychic phenomena are not only real, but can be, in fact, a primary medium for conveying God's message to man.